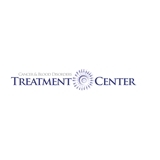 Cancer and Blood Disorders Treatment Center (Waldorf) - Book Appointment Online! Dr. Meelu established his practice in Waldorf in 1995, offering expertise, experience and highest standards needed for successful treatment of cancer and blood disorders. In our practice we believe that the patient's best interest should never be compromised. We take the time to explain all available treatment options, as well as other viable alternatives, and try to develop a customized approach according to the needs of the individual patient. Our practice primarily provides chemotherapy and related services to cancer patients along with treatment of blood disorders. We routinely provide and advise about screenings, diagnosis, diagnostic procedures, surgical and radiation therapy options, pain control and palliative.